Arielle specializes in working with individuals who have struggled with trauma, grief and loss, depression, anxiety, and addiction. Arielle previously provided individual and group therapy to people in recovery from addiction. 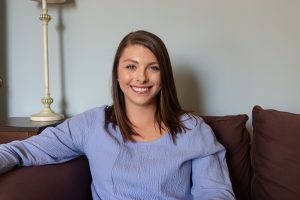 In this role, Arielle developed her understanding of the intersectionality of addiction with other mental challenges and grew her clinical skill set to address these connections with clients. Arielle also has experience providing counseling and support services to individuals diagnosed with terminal and chronic illnesses, as well as their caregivers. While working with this population, Arielle grew in her ability to understand the deep connection between loss and trauma for those living with such diagnoses and the loved ones who care for them. In conjunction with utilizing motivational interviewing and solution-focused techniques to address challenges related to substance use, Arielle incorporates cognitive-behavioral, narrative, mindfulness, and yogic techniques into sessions to empower clients to process, transform, and heal. Arielle believes in an eclectic approach to therapy and seeks to incorporate various evidence-based interventions depending on the unique needs and strengths of each client. Arielle’s previous work experience includes providing therapeutic counseling, evidence-based treatment interventions, and case management services to adults, adolescents, and children in inpatient, community, and research settings. Arielle has consistently practiced various forms of yoga for 13 years, including hatha, vinyasa, Bikram, yin, and restorative yoga. Arielle has also attended postgraduate workshops on healing trauma through mind and body-based clinical interventions. Arielle graduated with her Master in Social Work from the University of Maryland Baltimore’ School of Social Work. If you would like to contact Arielle, you can reach her by phone at (202) 265-1000 ext.130 or via email.